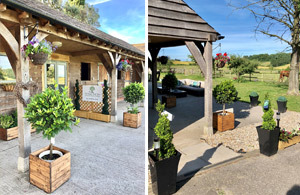 Set within five acres of beautiful Kent countryside, it was our vision to create a tranquil and holistic grooming experience that we would want for our own four legged friends. We take the best care of your pet using top of the range products and state of the art equipment, including electric grooming tables and a bath that gently lowers and raises to suit both dog and groomer. This allows us to cater for all breeds, regardless of size. We are also proud to offer our canine ozone jacuzzi spa bath. In addition to our grooming services and holistic massage, we offer an extensive range of luxury spa treatments to further indulge the special pet in your life. Your dogs welfare is our priority and our wealth of experience has gained us the trust and reputation to deliver an unrivalled service for all customers. We cover a wide area from Sittingbourne to Sheppey, Bapchild, Teynham, Faversham, Whitstable, Canterbury and beyond. For more information or simply just to have a look around please feel free to give us a call on 07958 767 676. 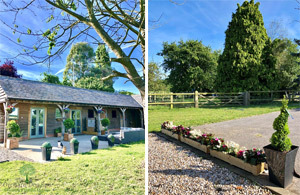 For all our latest photos, offers and news please check out our Facebook page.